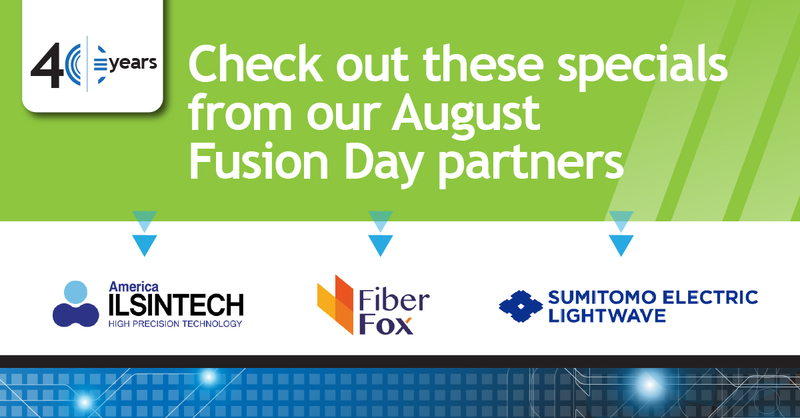 We recently hosted Fusion Day at Capital Electric’s HQ and introduced three of the industry’s finest fusion splicing machine manufactures to our guests. Each manufacturer, America Ilsentech, FiberFox and Sumitomo Electric, offers top of the line active core alignment as well as budget friendly clad alignment splice machines. We featured them as part of our event because they also offer are Splice On Connectors (SOC). Instead of using traditional pigtails that require splice sleeves and splice trays, SOCs allow you to terminate directly to the connector. This direct termination method greatly simplifies fiber management, saves time and money. Watch the videos below to check them out for yourself! We're pleased to announce that each vendor has carved out a special promotion just for our customers! Take a look below to see how you can save.